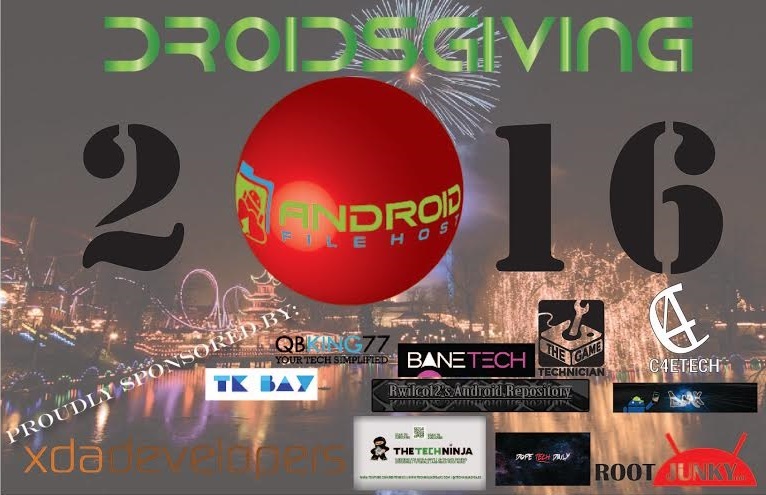 Droidsgiving Part 2 – Another Huge Giveaway! By now you’ve probably seen several of our posts on Twitter and other social media hinting that something big was coming. Well we are here to announce that something big is in fact here! Droidsgiving Part 2! We recently hosted Droidsgiving with our partners at AndroidFileHost.com. We had several prominent individuals from the Android community join us and we had a lot of success. Most importantly, we were able to give back to all of you who helped make us all what we are today. We talked it over amongst ourselves and decided that we needed to tell you all thank you again which is why we are hosting Droidsgiving Part 2! Good luck and we hope you win the giveaway! Thanks for the Giveaway… Waiting to start! Thank you for the chance to win all those awesome prizes. Thank You!!!! Android Authority for conducting such a nice giveaways for improvement of your channels and pages .. Hope i may win any prize in this ..